The next generation of physician assistants (PAs) can now take advantage of a new partnership — the first of its kind in the U.S. — established by Wake Forest University’s School of Law online Master of Studies in Law (MSL) Program and the Wake Forest School of Medicine Physician Assistant (PA) Program. The Emerging Leaders Program in Law (ELP-Law) graduates will earn a Master of Studies in Law (MSL) and Master of Medical Science (MMS) in PA Studies. 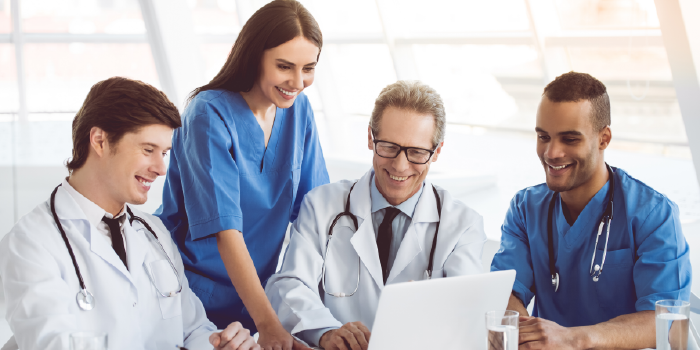 The cross-disciplinary initiative is designed to give PA leaders a competitive edge by helping them transform the delivery of health care while navigating a complex legal marketplace. The 36-month sequential degree program will begin accepting applications in April 2018; accepted ELP-Law students will start their first year in May 2019 with online MSL coursework and will move to their PA studies in May 2020. The first cohort will graduate in 2022 with both MSL and MMS degrees. The online MSL is designed to provide working professionals with the knowledge and skills needed to address the legal requirements in their fields, not practice law. The mission of the PA program is to produce highly capable, compassionate PAs who deliver patient-centered care, make significant contributions to the healthcare community, become leaders, and continually advance the PA profession.The ELP-Law program will be an extension of the current ELP-Business Program in which PA students can earn their Master of Arts in Management from the Wake Forest School of Business. Learn more about the ELP-Law program by contacting Sobia Hussaini of the Department of PA Studies at sshariff@wakehealth.edu or Ellen Murphy of the online MSL at murphyme@wfu.edu.